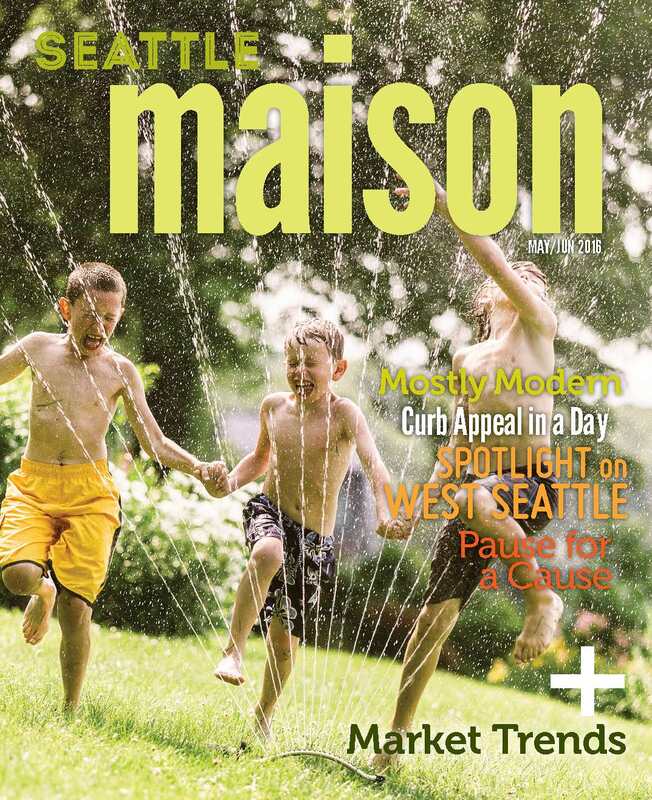 This issue of Seattle Maison is bursting with amazing content. This issue's Seattle area spotlight is the fast growing neighborhood of West Seattle! Get the scoop on all the fun and funky places that call West Seattle home. And for you fans of Modern home decor, the lead article is all about the different ways to tweak your interior design to reflect your personality along with your love for all things Modern. Need some curb appeal inspiration? The article that begins on page 16 includes 6 steps for creating that WOW factor as visitors approach your home. There's also a short article and recipe for National Donut Day, plus moving coverage of Sangduen "Lek" Chailert's elephant rescue work in Thailand. I'm so pleased with how this magazine turns out each issue and love sharing it with you. If you'd like to receive upcoming issues of Seattle Maison in your inbox, send me an email at kathryn@windermere.com. To read the May-June issue, click here. I'd love to receive upcoming issues of Seattle Maison!